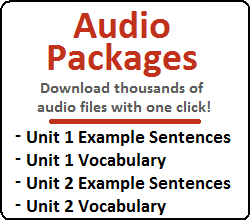 In this lesson, you will learn about two similar grammatical principles and their (similar) respective meanings. 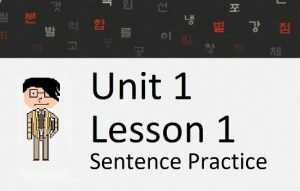 In this lesson, you will learn how to use ~아/어서는 안 되다 to mean “one should not” and ~(으)면 안 되다 to mean “one must not.” We will also look at the positive meaning of using ~(으)면 되다, which is a very natural expression but usually one that foreign learners of Korean don’t use right away. Let’s get started. This one is fairly straightforward. Let’s move on to the next one. = Can’t you do it like this? = Are you able to do it like this? = Is it okay if you do is like this? = Will there be any problem if you do it like this? 더 빨리 하면 안 돼요? = Can’t you do it faster? = Are you able to do it faster? = Is it okay if you do it faster? = Will there be any problem if you do it faster? 조금 더 주면 안 돼요? = Can’t you give me a little bit more? = Are you able to give me a little bit more? = Is it okay if you give me a little bit more? = Will there be any problem if you give me a little bit more? 밥을 지금 먹으면 안 돼요? = Can’t we eat now? = Are we able to eat now? = Is it okay if we eat now? = Will there be any problem if we eat now? 밥을 지금 안 먹으면 안 돼요? = Can we not eat now? = Are we able to not eat now? = Is it okay if we don’t eat now? = Will there be any problem if we don’t eat now? 그 대회를 참여하지 않으면 안 돼요? = Can we not participate in that event? = Are we able to not participate in that event? = Is it okay if we don’t participate in that event? = Will there be any problems if we don’t participate in that event? 이번에 여행할 때 수천 장의 사진을 찍지 않으면 안 돼요? = Can you not take thousands of pictures this time when we travel? = Are you able to not take thousands of pictures this time when we travel? = Is it okay if you don’t take thousands of pictures this time when we travel? = Will there be any problem if you don’t take thousands of pictures this time when we travel? 밥을 사 주시면 안 돼요? = Are you able to buy me rice? = Is it okay if you buy me rice? 교통카드를 충전해 주면 안 돼요? = Are you able to charge my subway card? = Is it okay if you charge my subway card? 교통카드를 충전해 주면 안 돼요? = Are you able to charge my subway card? 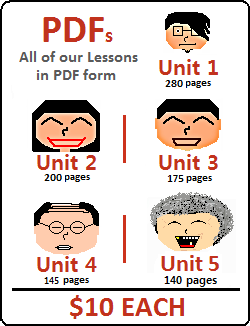 You can also use the form ~(으)면 안 되다 without “안” to create a different meaning. I will talk about this next. 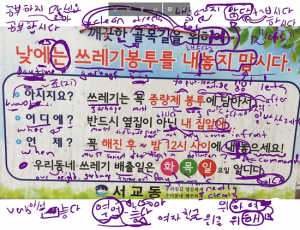 소금을 얼마나 더 넣어야 돼요? = How much more salt should I put in? Okay, got it! Take me to the next lesson.